Beautiful gifts for those you love, created by Canadian women whose careers have been built on passion and grown with care. Jaya bracelet by Biko Jewellery, $115.00 Founded by Toronto designer Corrine Anestopoulos, we’ve been wearing our Biko bangles for years. They go with absolutely everything and always get noticed. Comrags Sequin Anklets, $40. These joyful anklets are from much-loved Canadian fashion label and boutique Comrags, co-owned by Joyce Gunhouse and Judy Cornish. Gift certificate from Body Blitz. 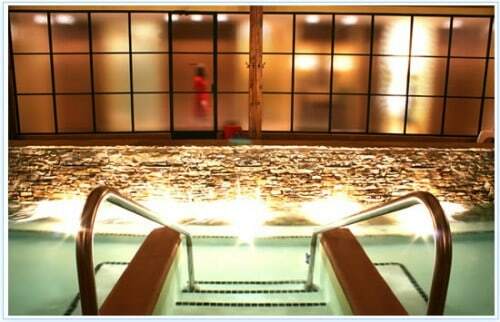 The water spa for women was founded by sisters Laura and Rena Polley. There are two locations in Toronto and if you’ve never experienced Body Blitz, you ought to treat yourself and a woman you love! Simply divine. Marc by Marc Jacobs ‘Bianca’ Clutch from LAB Consignment, $189.00. Owned and curated by Lauren Baker, LAB Consignment offers fashion lovers designer brands at affordable prices. 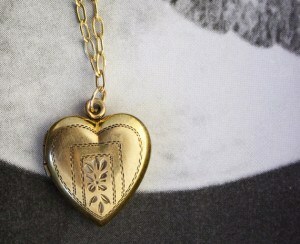 The Valerie gold engraved heart locket by The Symmetric on Etsy, $74.00. Based out of Collingwood, Ontario, Shanan Kurtz and Gillian Sopinka have an amazing knack for finding covetable vintage clothing and antique jewellery. Long crushed-velvet dress in moss from Horses Atelier. Reg. $750 / SALE $400! Designers Claudia Dey and Heidi Sopinka bring magic to holiday evening wear. But it’s up to you to start the kitchen dance party. Worn Fashion Journal Holiday Gift Pack includes every issue, wrapped in a pretty bow for $30. 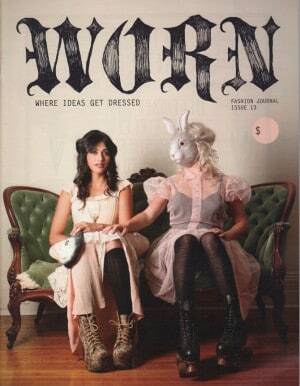 Serah-Marie McMahon is the founder and editor-in-chief of Worn and she’s grown a loyal following that includes Canada’s most quirky, stylish and clever young women. Fortnight Lingerie, our sexiest homegrown intimates by the lovely Christina Remeny. We usually find our Fortnight Lingerie at The Future of Frances Watson in Parkdale, but you can view the full, gorgeous collection here. Ela Handbags by Ela Kowaleska are available on eLUXE. (Founded by online entrepreneur Joanna Track!) We think they are wardrobe investment pieces that you’ll love and use for years to come. 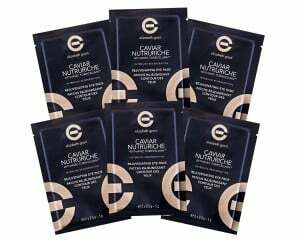 Elizabeth Grant Caviar Nutruriche Rejuvenating Eye Pads, $35 for a set of six. Elizabeth Grant has been thriving under the rule of strong women since 1958. Although Elizabeth Grant founded the skin and beauty company, we now deal with her granddaughter, Margot Grant Witz. We think these Caviar Nutruriche Eye Pads are ingenious and the kind of luxurious stocking stuffer that every woman on your list will love. 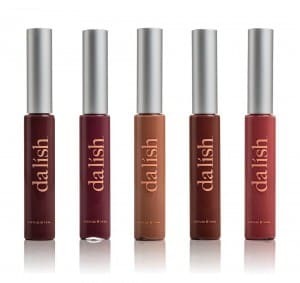 DaLish Cosmetics Lipgloss set for all 5 shades, $90. Melanie Cruickshank has spent countless hours experimenting in her kitchen to find out how you can get the perfect, flawless face in less than 5 minutes. Give your makeup junkie sister something she’ll use and love. 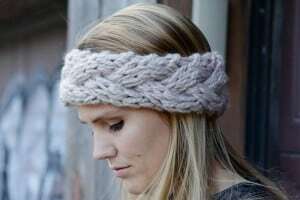 Scarffaces soft lavender chunky braided knit headband, $27.32. 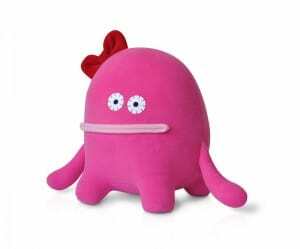 Laura Hopf (pictured above) is the queen of knitting. Handcrafted and made with love, her beautiful wares go well with snowy walks in the woods and a thermos of hot cocoa. 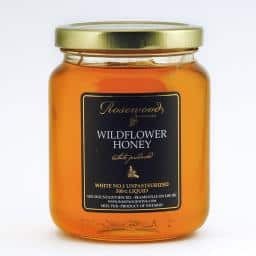 Rosewood Wildflower Honey, $7.00. 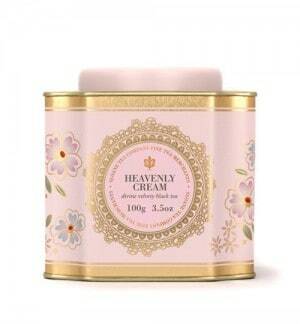 From your neighbour to your grandma, honey is an enjoyable gift for all! Krystina Roman’s family has been harvesting Rosewood Honey at their Rosewood Estate Winery in Niagara for over a decade. The honey is handcrafted through natural and sustainable beekeeping methods and is 100% raw and unpasteurized. It’s also delicious. Look for it at Indigo Books. 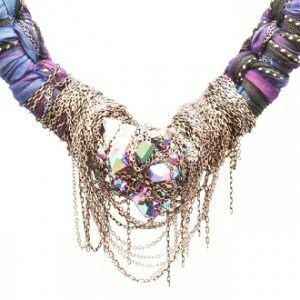 I’Moniq Olivia necklace, $175. 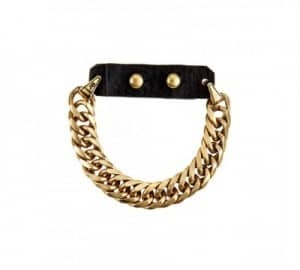 Vibrant, bold, fun and edgy: chunky bracelets and necklaces by I’Moniq Accessories are ideal for dressing up jeans and a grey tee or adding intrigue to your evening wear. Monique Anderson grew up in an Afro-Carribean home in Toronto and crafting traditions of braiding can be seen in her stunning pieces, like the Olivia pictured above. You can find her jewellery at Bridge & Bardot, Love of Mine and Black Box Boutique. 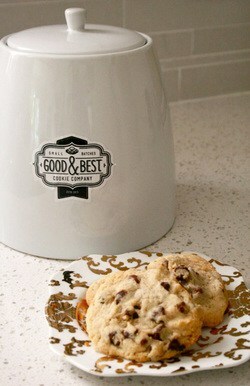 Good & Best Cookies will win over Santa! Before she started a cookie company, Joanna Reynolds ran The DepARTment contemporary art gallery on Dundas West. We were sad to see the gallery go but the neighbourhood was quickly consoled with the best cookies you’ve ever tasted…and that’s why it’s called the Good & Best Cookie Company! Find them at Easy Tiger or Grain, Curd & Bean on Dundas West, or order a dozen online! Full knit cable knit infinity scarf, $65 at Vocado. Emily Dobbie is an accountant-turned-shop owner; always a good combination of skills! Vocado now has two locations, Liberty Village and Oakville, but Emily also sells online. So, who in your fam needs this scarf? We think Emily looks pretty cute, happy, and warm in the burgundy infinity. The Rub for aches and sprains, $26.00. Make the bed, turn on a scented candle, lie your lover down and give him/her a rub. Carol-Ann Granatstein is a scentalogist and the founder of Aromacentric. Her line of aromatherapy oils, creams and bath salts are all about finding beauty through wellness. We think they make for incredibly thoughtful gifts that promote self-care. 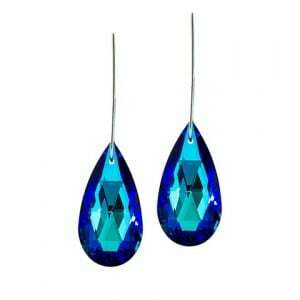 Shay Lowe azure statement earrings, $275. Shay Lowe has been making international headlines with her absolutely stunning jewellery. From glamourous costume jewelry to subtle, but eye-catching, gems, Shay Lowe’s holiday collection is whimsical elegance at its best. Give them the gift of yoga! Misfit Studio, located at 761 Queen Street West, brings a little rock n’ roll to the yoga studio. Founded by yogi Amber Joliat, workouts at Misfit are packed with fun energy and appeal to the crowd that likes their zen time but also enjoys a boisterous late night party. Sound like you? 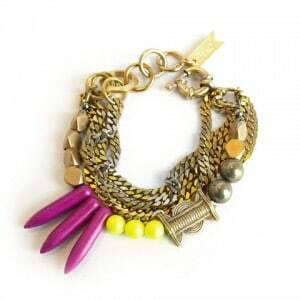 Jenny Bird Hustle and Flow bracelet, $65. Have a stylish sister-in-law you want to win over? Look no further than Jenny Bird jewellery. Tough but pretty, classic but contemporary: we think this bird is a total genius. Clementine Mini, $12,95. Got a kid on your list? Take a tour through The Monster Factory and find them the perfect, oddball friend. Rhya Tamasauskas and Bliss Man have been dreaming up these kookie characters since 2003; there isn’t a monster in their studio that won’t melt your heart. Undiet, available on Amazon.com for $15.67. 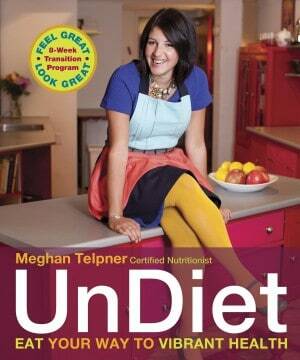 We’ve been raving about Meghan Telpner’s Undiet Cookbook for about nine months. I mean, she’s a hero of ours and we think this would be a great gift for anyone who loves to cook or is looking to improve their lifestyle. Delicious recipes, inspiring words and, well, lots of food for thought. You could also sign up your loved one for one of her many nutrition courses! Juice cleanse for 2014? 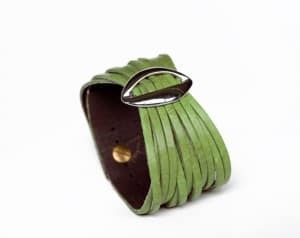 Rimanchik Lips Cuff in lime, $30.00. Rimanchik is a Montreal-based design company that believes that good design must be simple, practical, elegant and complimentary. We’ve recently fallen for their leather accessories, from bracelets to knapsacks. Like Body Blitz, Rimanchik is run by two sisters who bring very different talents to the table in order to create a successful business. Enjoy browsing the collection. 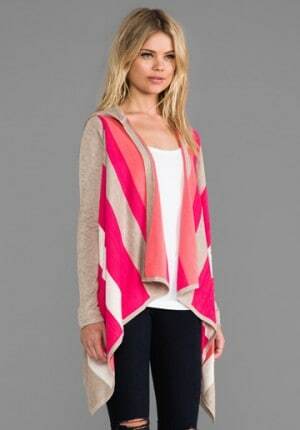 John and Jenn Chiara sweater in passionate pink, $175.94. Jennifer Wells is the co-founder of John and Jenn, a fashion brand that stemmed from the upscale Line Knitwear collection a few years back. Their sweaters are cozy, stylish and perfect for layering but also great stand-alone pieces that can be dressed up easily with fun accessories. We’d wear the Chiara sweater now, but also think it’s perfect for spring/summer days loafing around in cut-offs and Keds. Find John and Jenn at Over the Rainbow or TNT. Damn Heels in Champagne Gold, $55.00. For the social butterfly on your list, Damn Heels are a must. Hailey Coleman won the Dragons over on Dragon’s Den with her notion that all women would appreciate a pair of slippers to pop in their purse for when the 3-inch heels begin to burn. Like, why wasn’t this a thing before? Brilliant! As a gift, Damn Heels are both practical and pretty. Cheers to women who make their dreams a reality! We wish all of you a 2014 full of creativity, invigorating challenges and much success! This is fantastic ! I love I’MONIQ’s pieces but Noticed you wrote it as L’Moniq should be an ” I ” I’MONIQ not an L 🙂 But great article, love women making it happen! Thanks She Does The City! 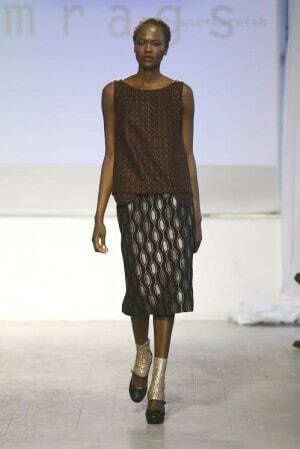 We are honoured to see Rimanchik design included! “Tea toddler” is cute, but did you mean “teetotaller”?